Last year ended on an enormous high for Kevin Clifton. As Strictly Come Dancing fans will know, Kevin and his dance partner, Stacey Dooley, won the TV show’s public vote, meaning that he finally got to lift the coveted Glitterball trophy after coming so close on a couple of previous occasions. What makes the win even sweeter for Kevin is that he nearly didn’t make it to the Strictly dancefloor. 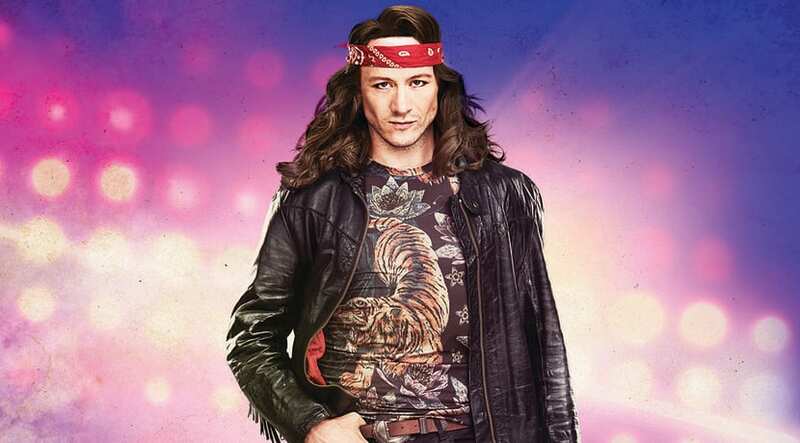 As many of the show’s dancers and celebrities hit the road with the Strictly Live Tour, Kevin is living another dream - playing Stacee Jaxx in the UK tour of acclaimed jukebox musical Rock Of Ages. So just how rock’n’roll is he? So how does Kevin plan to tackle a role made famous by Hollywood superstar Tom Cruise? Kevin is no stranger to musical theatre, having made his debut in Dirty Dancing in the West End - but how will his vocals stand up to belting out the show’s repertoire of rock’n’roll classics, including Bon Jovi’s Wanted Dead Or Alive and Foreigner’s I Want To Know What Love Is? It would be fair to assume that Grimsby-born Kevin was always destined for a career in dance - both his parents were dance teachers, while his sister, Joanne Clifton, won Strictly in 2015. She’s since carved out an impressive career in musical theatre. Kevin most certainly does look the part as a Strictly dancer, though - so will he be returning to the hit BBC One television show in the autumn? Kevin stars as Stacee Jaxx in Rock Of Ages at Regent Theatre, Stoke-on-Trent, from Tuesday 12 to Saturday 16 February.